This weekend I was up at the open house hosted by the Globecraft & Piccolo parent company, Sweet Stamps. This is one of the make and takes we created. 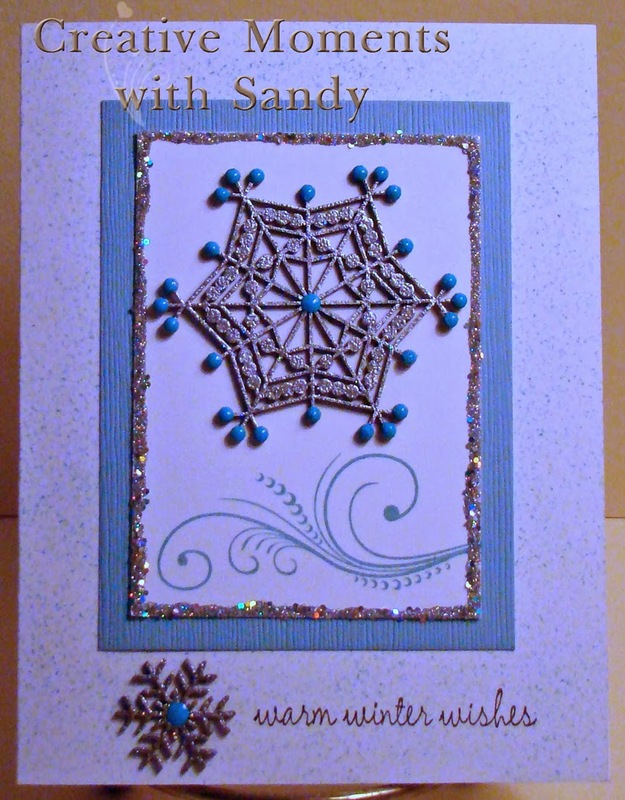 A beautiful winter card showcasing Piccolo Siam Silver embossing powder and Snowflakes. 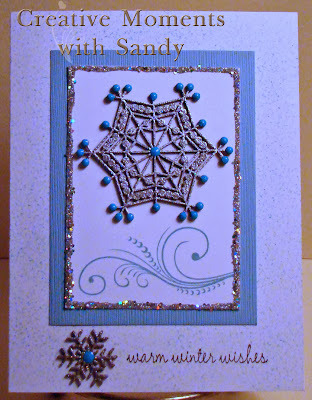 We used Blue Sky 3D Enamel Gel for the accents on the snowflakes. For the sparkly edge around the white panel, we applied a thin bead of Glastique and then some Pure Sparkle Silver Glitter. There are 3 sizes of glitter in this mix which gives it fabulous shine. I also got a chance to play with Piccolo Instant UV Resin. I started with a thin rectangle acrylic piece (coming to the store soon). I stamped snowflakes with white Staz-On then coated the piece with UV Resin. Three minutes under the UV light and I was ready for layer two. I added two Holly Clusters that I colored with Smooch ink, coating with another layer of UV Resin. Three minutes later, I stamped more white snowflakes and added the final layer of UV Resin. I added a layer of Light Blue 3D stamp paint to the back of the acrylic (love the glittery shine), then sealed it with a layer of Glastique. Each layer can be seen as you look into the piece, it has so much depth. I am going to use it as a zipper pull! LOVE your zipper pull! Gorgeous colors and shimmer! I am with Stacey, I LOVE that zipper pull !! the layers are just fantastic.